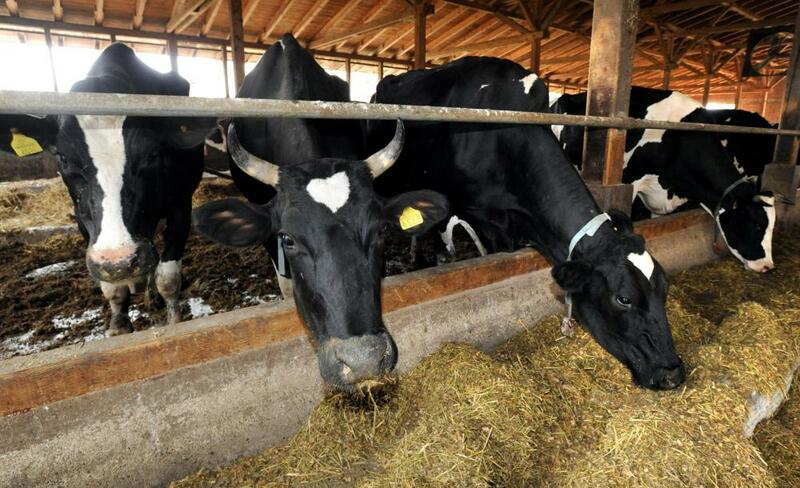 Milk from soybeans is used to make tofu cheese. 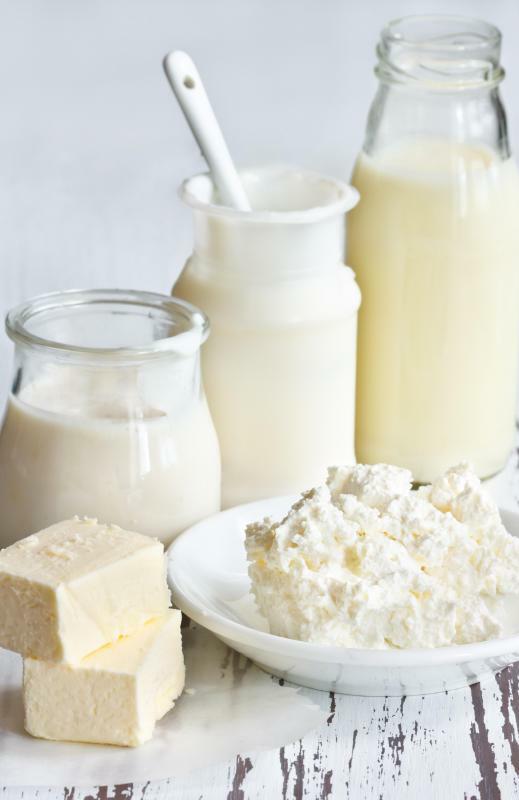 Many people have allergies or sensitivity to dairy products or avoid them for ethical reasons. Tofu cheese is made without using any dairy products that come from cows or other farm animals. 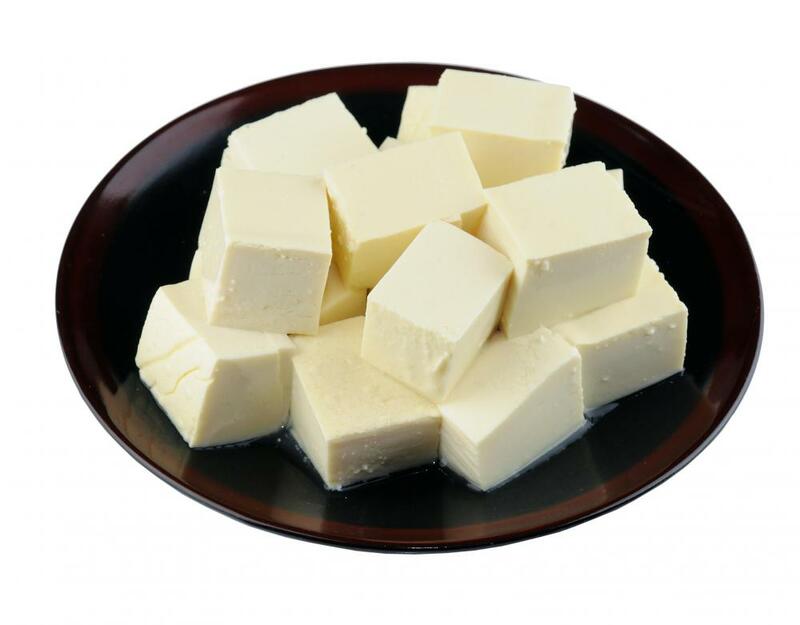 Tofu cheese, also called soy cheese, is the name given to the food product obtained from curdling soybean milk. It is a cheese substitute or a non-dairy "cheese" enjoyed by people who do not tolerate dairy products very well or who are following a dairy-free diet. Vegetarians and vegans, particularly vegans, also tend to take an interest in tofu cheese because of the high quality and clean protein available in this all-natural food that has been consumed for thousands of years in countries such as China. The definition of tofu cheese probably is not complete without at least a basic description of how it is made. Soybean milk is the origin of tofu cheese and is easy to prepare, but the process is time-consuming and considered somewhat worrisome by most people. Milk from soybeans is obtained by placing the beans in water and bringing them to a boil at least a couple of times to help reduce the soy taste after the milk is made. Following the boiling is the step of grinding the beans and placing them in a cheesecloth or a sack cloth, over which warm water is poured. The beans are thoroughly kneaded and squeezed until they have given up all of their milk. This is just one method of making soybean milk to be used to make tofu cheese. Citric acid is then added to the freshly made milk while it is still hot so that it will curdle, immediately after which the curd is skimmed off the clear water and kneaded in a sack or cheesecloth to make the "cheese" as dry as possible. This is the most basic tofu cheese, which can be manipulated by the amount of citric acid added and to which other ingredients can be added to produce desired flavors, such as a cheddar tofu cheese. Although various types of the cheese can be made, they all differ significantly from dairy cheese in flavor, consistency and nutritional value. Most people who are not accustomed to eating tofu cheese are disappointed in its taste when they first try it. Many people have a acquired a taste for this highly nutritious food product, however. Bean curd, which is another name for this soybean cheese, is very rich in vitamins, minerals and high-quality protein. Although it is often used in the making of non-dairy pizza and other dishes calling for cheese, the product does not melt, smell or handle like dairy cheese — but some people actually prefer it because of these differences. One important thing that people interested in consuming this cheese should keep in mind is the quality of the soybeans from which it is made. Soybeans might be genetically modified and might be the cause of allergies and health problems that have been associated with the consumption of soybeans. Genetically modified soybeans produce genetically modified cheese. What is the Nutritional Value of Cheese? What are the Different Types of Macaroni and Cheese? What are the Different Types of Grilled Cheese? Tofu cheese is a great alternative to Indian paneer. I love Indian food but I don't eat dairy, so I've always missed out on paneer dishes like spinach paneer. But ever since I discovered tofu cheese, I've been using it for paneer and it has always turned out good! I am worried about genetically modified soybeans being used for the tofu cheese though. So I pay more and buy a brand that does not use genetically modified soybeans. I know that it doesn't make a difference for many people, but if I'm going to cook with tofu frequently, I want the best and the healthiest. @donasmrs-- Yes, I use tofu cream cheese all the time! It tastes very good. If you eat it on a bagel, you can tell that it's not regular cream cheese. But if you use it in recipes such as for cheese cake, you can't tell that it's vegan at all. Sometimes I think it tastes better than the real thing. The one I use is made from tofu and cashews. If you are not allergic to cashews, I do recommend this kind. It's very creamy and delicious. Check out tofu cheese recipes when you have the chance, there are some great dishes you can make with it. Has anyone tried tofu cream cheese? It's supposed to be dairy-free and vegan. What does it taste like?